What images come to your mind when you think of knitting, or crocheting? Maybe it's those socks you knitted for your husband, the baby sweater for your child, that afghan you crocheted when you moved into your first dorm room, or the shawl you labored over for a bride. It could be that you're remembering being taught how to hold the needles by your mother. Maybe you're remembering teaching your grandchild. Or those times when you sat around with your yarnie friends talking, laughing and eating. There's the prowls around your local yarn shop, the field trips to stores in other towns, and looking in the phone book or the internet when you travel to find places to feed your hobbies. 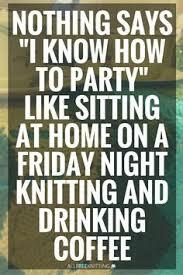 There's also those late night, can't sleep, surfing on the internet through Ravelry times. 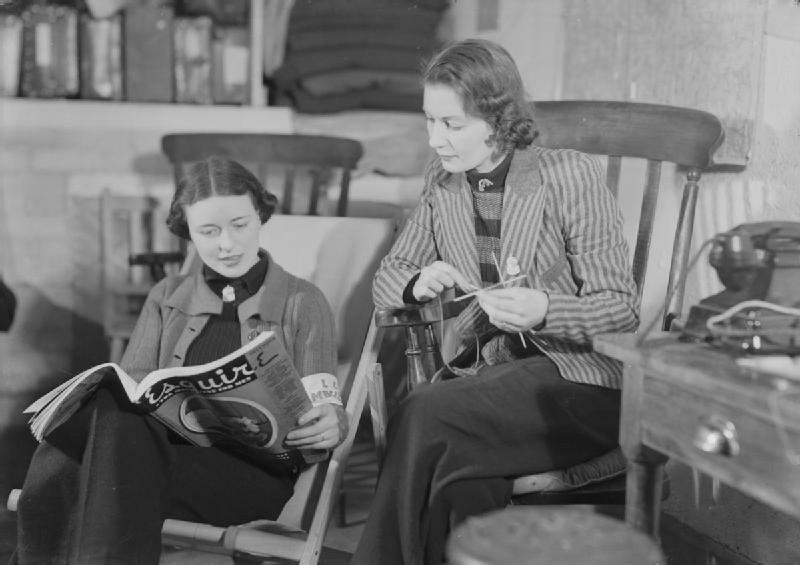 Knitters knit in trains, planes, and automobiles. They knit in waiting rooms, hospital rooms, libraries, coffee shops, lecture halls, at sports events, camping, and on the beach. 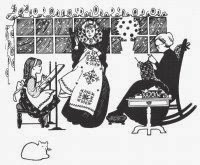 But most of the time, they knit at home. You may have your dream crafting studio, every corner carefully designed, your materials neatly stored, Or perhaps you've taken up the third bedroom now that the kids have left home and everything is a higgedly piggledy mess, but it's your higgedly piggledy mess. For some, all you have is a chair and a knitting bag holding your current project. Even if you have the dream studio, you probably do most of your knitting in the living room in front of the tv or fireplace. Perhaps there's a cat in your lap, or a baby in your arms. Knitting brings up images of home. Home is where you can escape from the world. It's where you don't have to be "on" all the time. Home is a place where hopefully you are loved and accepted and where peace can be found whether you live in a houseful of noisy children or quietly all alone. Home is more than where you eat, sleep and clean. It is a place of destressing, of relaxing, of connecting with yourself or others, of love, laughter, tears, dreams, faith, and hope. If home is not those things for you, then perhaps it's time to take steps to make it that way. It's time to declare that space as your home or find another home where you can be away from the world, or invite the world in, and know that either way you belong. Throughout my life I have imagined myself in different homes. Castles made of stone, Victorian mansions with wrap around porches. Gothic houses with libraries, luxury baths, game rooms for the entire family to enjoy, and Christmas trees in every room at holiday time. But now as I enter the last year of a child at home, I imagine myself alone in a cottage or craftsman by the ocean, knitting in the evenings in front of the TV and fireplace as the tides play and mermaids sing their songs, or waking in the morning to drink coffee on the veranda while watching the sailboats glide by. Whatever you imagine or create your home to be, let it speak to your heart and soul and give you comfort in a world where sometimes everything is out of control and in chaos. This weeks special sale is called home. We have it in 15 beautiful colors. Enough to make sweaters, hats and scarves. Choose one color or play with several. It's calling you to take it home. Posted by Anna Maria Junus (happy employee who comes from the sea and is looking forward to returning and calling it home). What's Going On In Your Yarn Closet When You're Not Looking? Do you remember the love story of Charly and Zara? If you need a refresher, it's here. As some of you may recall, there was an almost immediate update. Charly and Zara eloped the same day their story came out and we had to put out a different yarn to take their place. Well, it turns out that Charly and Zara had a baby they named Sport. Before you roll your eyes, remember that yarn stash you have all over the house that multiplies itself? See, it happens. And I bet some of that stash you don't really want anymore. You bought it in your early days when you thought those great big balls at Ceiling-mart were such a good deal. 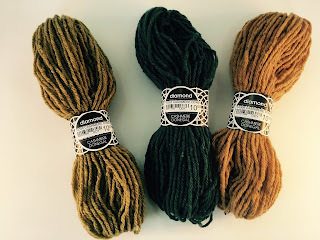 There was also that sale when you bought that acrylic yarn for a friend's scarf only to find that she hates green. And that blanket that you were going to make for someone but decided you didn't really want to. And now it's staring at you accusingly. And you've told yourself you can't buy new yarn that you like without doing something with this yarn that you don't like. We do this to ourselves. We use our hobbies which we love and use it to punish ourselves. Somehow we don't think we deserve to enjoy ourselves. I'm going to tell you another love story. A true one. We have a lady who loves to knit blankets for the homeless and others who need them. She brings us about two a month to give to Blankets for Canada. At the time that I write this she has crocheted 442 blankets. Yes, people. I will repeat that. Four hundred and forty two blankets! That takes a lot of yarn. Yarn that she doesn't have. She loves to make these blankets and loves to know that they are going to people in need. When she isn't knitting blankets she's volunteering. So do you see where this is going? Get out that worsted weight acrylic yarn (yes, those big balls from Ceiling-mart) and bring them over to the store and we will give them to this lady who will turn them into wondrous blankets for those who need them. Now doesn't that idea feel better than giving yourself 50 lashes with your yarn and denying yourself luscious yarn treats because you've got this perfectly good yarn that you don't like sitting in your closet and hiding under your bed - multiplying. It's a win, win, win situation! You win because you can feel good donating yarn to a good cause and freeing yourself from the guilt. Minke wins because she gets to have yarn to crochet her blankets with, and those who need the blankets win because they get a beautiful handmade blanket to keep them warm. Everybody feels good. So back to the original love story. We have a lovely pure wool yarn on our special deep discount sale. 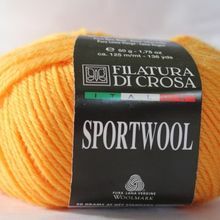 Sportwool (the apparent offspring of Zara and Charly) is great for hats, scarves, and mitts. Yes, it is named Sport, but it's actually a DK weight. I don't know why companies do this. I think they want to drive us all insane. And now that you're going to actually do something with that yarn you don't like you can treat yourself to something nice! Although you actually don't need a reason to treat yourself. Just do it because you're a good person. Posted by Anna Maria Junus (happy employee who loves a good love story even when the offspring is named incorrectly). 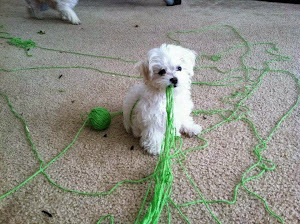 When we last left Captain Knit Wit he was in battle with Froggit the arch enemy of yarn and needlework enthusiasts everywhere. "Your days of torturing people have ended!" Captain Knit Wit held up a knitting needle with one hand, ready to plunge it into the heart of the cowering Froggit. "You can't get rid of me that easily. I am eternal. As long as crafters make things, I will be there! I am essential. I am necessary." An evil smile spread over Froggit's face. "Look over there!" he pointed. "Where?" Captain Knit Wit looked around. "I can't see anything." He looked back to find Froggit gone. In frustration he threw the knitting needle on the floor. "Gah! How does he manage to always escape me!" Meanwhile in Froggit's super secret lair, his minions Rippit and Gurr were carefully watching the monitors. "Look, look. She's not paying attention. She's too busy watching Game of Thrones to notice that she's knitting instead of purling." Rippit rubbed his hands together. "This one over here is talking to her stitching circle and is using the wrong DMC color in her stitching. Look a whole section with the wrong color!" Gurr took a sip of his water. "Froggit will be pleased with what?" Froggit stormed into the room. "Look, crafters are making mistakes!" Rippit grinned. Froggit looked at the monitors. "Well, of course they're making mistakes. They always do. How are you helping them to?" "We don't have to help them. They do it on their own." "Gah! I have idiots who serve me. You have only two? Why aren't you doing more?" "What do you mean do more?" "Have you removed knitting needles from projects and replaced them with a different size? Or two different sizes? Have you mixed up the numbers on the embroidery floss? Have you spilled coffee on patterns, or better still, stuck two pages together so that they start off with one pattern and end up working on another? Have you changed the tension on sewing machines? Have you unraveled crocheted pieces and stitched them back up incorrectly? 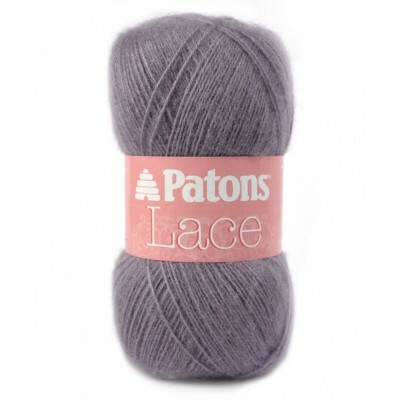 Have you dropped stitches on lace or switched directions on cables? You can't just leave it up to these people to make mistakes. They need help to make the mistakes. Idiots!" Froggit smacked Gurr in the head. Ruppit already knew to stand far away when Froggit went on a rant. Satisfied that he had made his point, Froggit asked, "Now what's going on with Knit Wit?" "I thought he was with you," Rippit replied. "He was. I got out of there. It wasn't hard. I used the old "look over there," trick." "And he fell for it? Again? "Rippit said. "Like I said, it wasn't hard." Froggit sat down in a chair and looked at the screens. "So what's happening with him?" "We don't know," Gurr said. "He's not showing up anywhere on our monitors." "Probably gone away to hide his head in shame," Froggit said. " Meanwhile in Captain Knit Wit's super secret lair, his associates were watching monitors. "Any sign of them?" Captain Knit Wit asked Enabler and Impulse. "Nope. They seem to be behaving themselves at the moment." Enabler said. "You had him. What happened?" "He used the "look over there" trick." "And you fell for it. Again?" Impulse said. "Hey, he's sneaky. You don't know what it's like." "Captain. Look at this!" Enabler said. Captain Knit Wit looked closely at the monitor. "Isn't that one of his minions? What is he doing?" "Looks like he's unscrewing the cable on those interchangeable needles." "So when she comes back to her work she picks it up and all her stitches fall off the needle," the captain said. "Wait! What's he doing now?" "He's draping the yarn around the cat!" Impulse said. "That's diabolical! Well I'm off. Time to rescue that poor lady's knitting." "Where?" the Captain looked around. "Aw! Cut that out, you guys! I'm outta here!" The Captain disappeared through the door with a whoosh leaving papers fluttering. Enabler shook his head. "He's going to get himself impaled on a knitting needle one day." "Hey, let's ditch this for a couple of hours and go to the craft store," Impulse suddenly said. "There's a 75% off sale at the Crafty Lady." "I'm with you!" Enabler agreed. is on his way to save another poor crafter's dilemma, once again fighting the good fight and ridding the world of Froggit and his minions' dastardly deeds. And be sure to check out our sale. I put a hidden question in the middle of last week's blog and no one answered it. Sigh. I guess no one reads this stuff. You just scroll straight to the bottom to see the sale. I suppose if I said that I was knitting a life size elephant, no one would notice that either. Or if I said I was breaking the rules and knitting my boyfriend (a famous celebrity who will be unnamed) a sweater, no one would ask a question. Or if I said that I've been challenged by NASA to create a moon cozy that would be ignored as well. The life and work of an artist is so unappreciated. 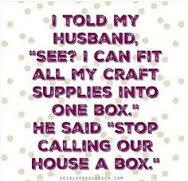 I will tell you about Crafty Lady Night. Every Thursday from 6-9 pm you can come to our store, find a cozy spot on our lovely new couches, and knit, or crochet, or weave, or cross stitch, or make plans to rule the world. We really don't mind what you do as long as you're reasonably social. You get coffee or tea, a snack and lively conversation with other people who are making their own plans to knit things for every baby they know or to rule the world. And all that for only five bucks. Which isn't a bad deal. 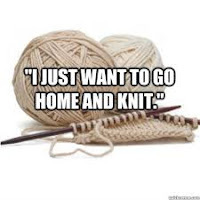 Sure you can stay home and knit, but why not do so with others. Sure you can plan your own crafting party, but that would mean calling people on the phone, cleaning your house, making refreshments and getting rid of any non-crafter or non-rule the world people. That sounds like a lot of work to me. As for the sale - yes I know that's the only reason you're reading this, we are still in the process of selling off our Patons line. It's really lovely yarn but due to distributor issues we can no longer carry it. We are sad to see it go, but it's a bonus to you since you get to partake of this wonderful sale. A light weight yarn with a mohair halo. 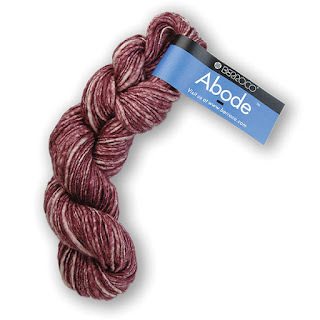 This is beautiful soft yarn that comes in lots of solids and verigateds. 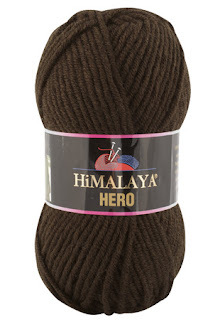 Great for shawls but also for sweaters. We have lots of colors and at the moment of writing this, plenty for sweaters. Posted by Anna Maria Junus (happy employee who would come to Crafty Lady Night even if I didn't work here). Donegal is a town in _____. 1. Cashmere comes from goats. If you answered rabbits, that's a pretty good guess, but it's angora that comes from rabbits and goats. If you guessed beings from outer space, then I like the way you think and maybe we could get together for coffee sometime. Cashmere is collected during the spring moulting season when the goats naturally shed their winter coat. In the Northern Hemisphere, the goats moult as early as March and as late as May. In some regions, the mixed mass of down and coarse hair is removed by hand with a coarse comb that pulls tufts of fiber from the animal as the comb is raked through the fleece. The collected fiber then has a higher yield of pure cashmere after the fiber has been washed and dehaired. The long, coarse guard hair is then typically clipped from the animal and is often used for brushes, interfacings and other non-apparel uses. Animals in Iran, Afghanistan, New Zealand, and Australia are typically shorn of their fleece, resulting in a higher coarse hair content and lower pure cashmere yield. In America, the most popular method is combing. The process takes up to two weeks, but with a trained eye for when the fiber is releasing, it is possible to comb the fibers out in about a week. If you answered B, then that's some wild parties you've been to. Don't let other people know about them because then they might avoid you - unless that's what you want. 3. Cashmere is the under hairs of the animal. Even more specifically the neck area. Cashmere goats produce a double fleece that consists of a fine, soft undercoat or underdown of hair mingled with a straighter and much coarser outer coating of hair called guard hair. For the fine underdown to be sold and processed further, it must be de-haired. De-hairing is a mechanical process that separates the coarse hairs from the fine hair. After de-hairing, the resulting "cashmere" is ready to be dyed and converted into textile yarn, fabrics and garments. Now are you seeing why cashmere is known to be exotic and expensive? Between having the job of combing and carefully gathering the yarn, and then having to go through the yarn to pick out all the coarse outer hairs, and that it comes from the neck area - shearing lambs looks easy. If you answered "C. magical substances handed down from aliens", the only magical substances handed down from aliens that I can think of are chocolate and coffee. References to woolen shawls appear in texts surviving from between the 3rd century BC and the 11th century AD. However, the founder of the cashmere wool industry is traditionally thought to have been the 15th-century ruler of Kashmir, Zain-ul-Abidin, who introduced weavers fromTurkestan. Other sources consider that cashmere crafts were introduced by Mir Sayyid Ali Hamadani. In the 14th century Mir Ali Hamadani came to Kashmir along with 700 craftsmen from parts of Persia. When he came to Ladakh, the homeland of cashmere goats, for the first time in history he found that the Ladakhi goats produced soft wool. He took some wool and made socks and gave them as a gift to the king of Kashmir, sultan Kutabdin. Afterwards Hamadani suggested to the king that they start a shawl weaving industry in Kashmir using this wool. UNESCO reported in 2014 that Ali Hamadani was one of the principal historical figures who shaped the culture of Kashmir, both architecturally and also through the flourishing of arts and crafts and hence economy in Kashmir. The skills and knowledge that he brought to Kashmir gave rise to an entire industry. So if there is a goat god named Cashmere, the yarn is not named after him or her and therefore chanting, dancing naked, and chicken bones are not required. All you need is a pair of knitting needles, and threats to your family not to touch your cashmere or you will shear their heads to make yarn. And now for the sale info. Hats, mitts, and scarves. Imagine your very own cashmere scarf. And you won't even have to comb through a goat to get it. Posted by Anna Maria Junus (happy employee who you will never see dancing naked in a forest - not that I would never do it, you would just never see it - besides, it would cause blindness).